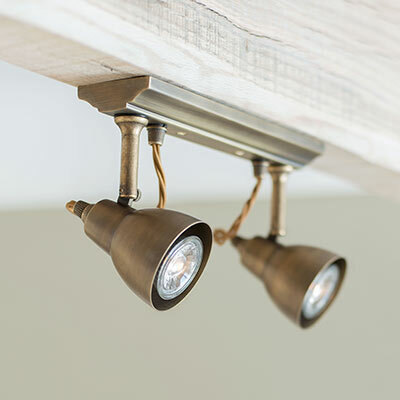 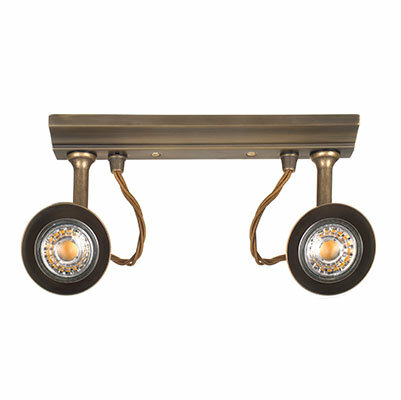 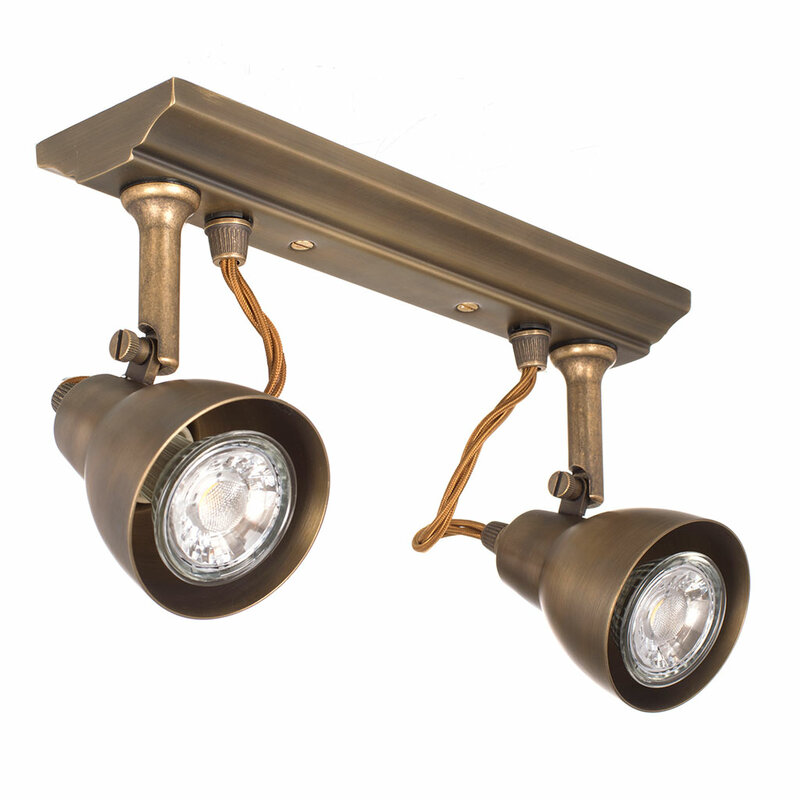 A wonderful brass 2-spot strip with a contemporary look, our Edgeware Track spotlights are as handsome as they are practical and make an excellent choice for a kitchen or living room. 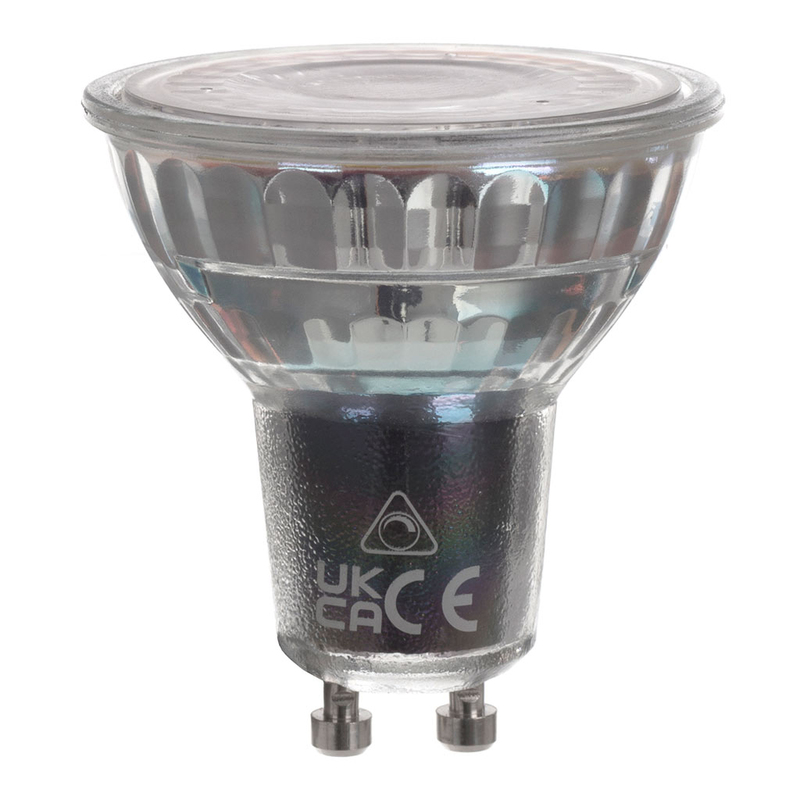 The latest addition to our Edgeware spotlight family, these spot lamps can be fixed to ceilings and walls and are available with 2, 3, 4, 5 or 6 spot lights on a strip. 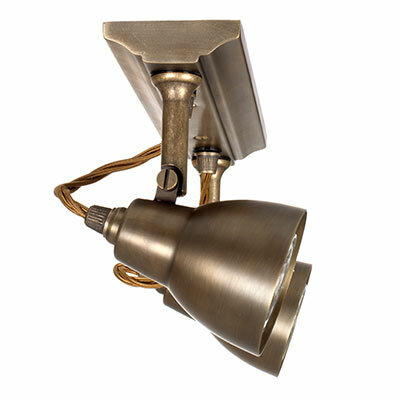 Designed as a stylish and functional solution to boost the lighting in specific areas of your kitchen such as your sink, oven, countertop or island, our Edgeware spotlights incorporate an elegant brass shade with an exposed braided cable that gives them a cool industrial look. 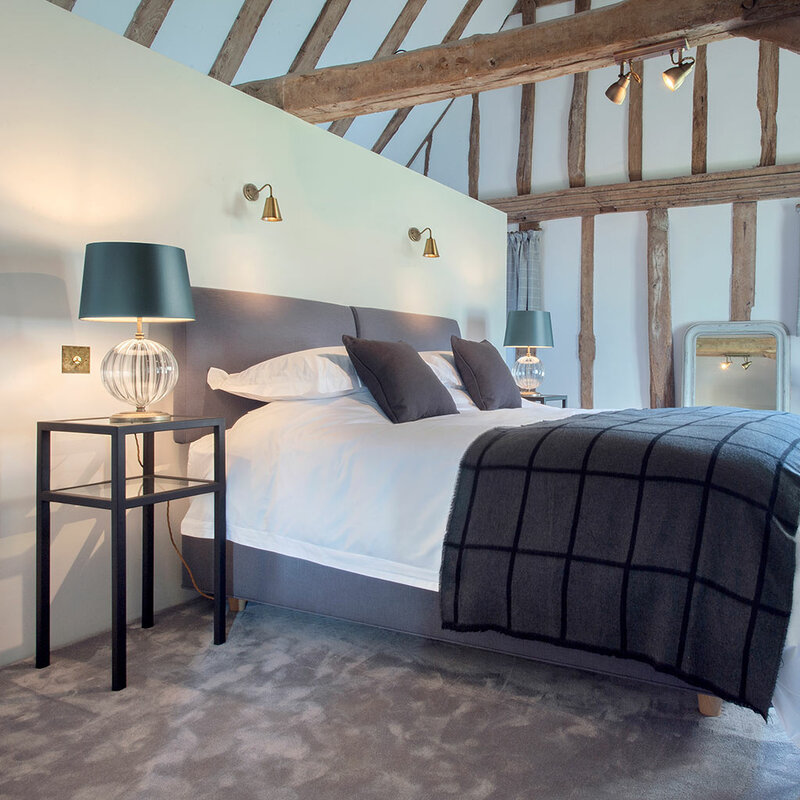 Spotlights are also perfect for emphasising the more interesting features of your home, whether they’re photos, paintings, bookshelves, fabrics, ornaments or architectural features like alcoves or exposed beams. 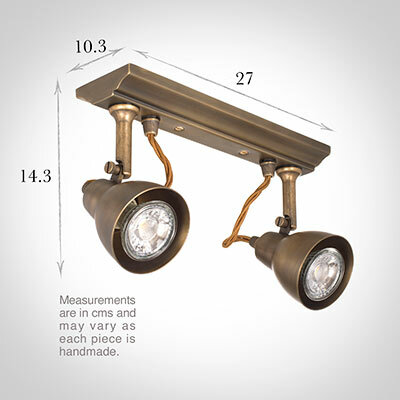 These Edgeware Track spotlights can be rotated through 340 degrees and angled through 90 degrees, so you can focus the light wherever you want. 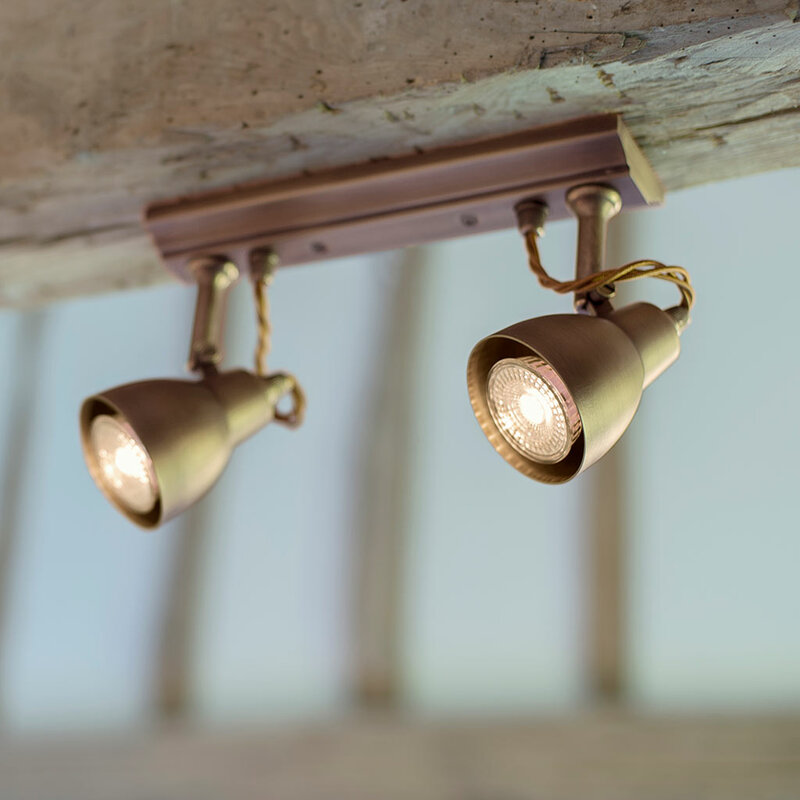 They will look perfectly at home in a period or modern property and only need wiring through one hole in your ceiling – making them a popular choice for home owners and electricians alike! 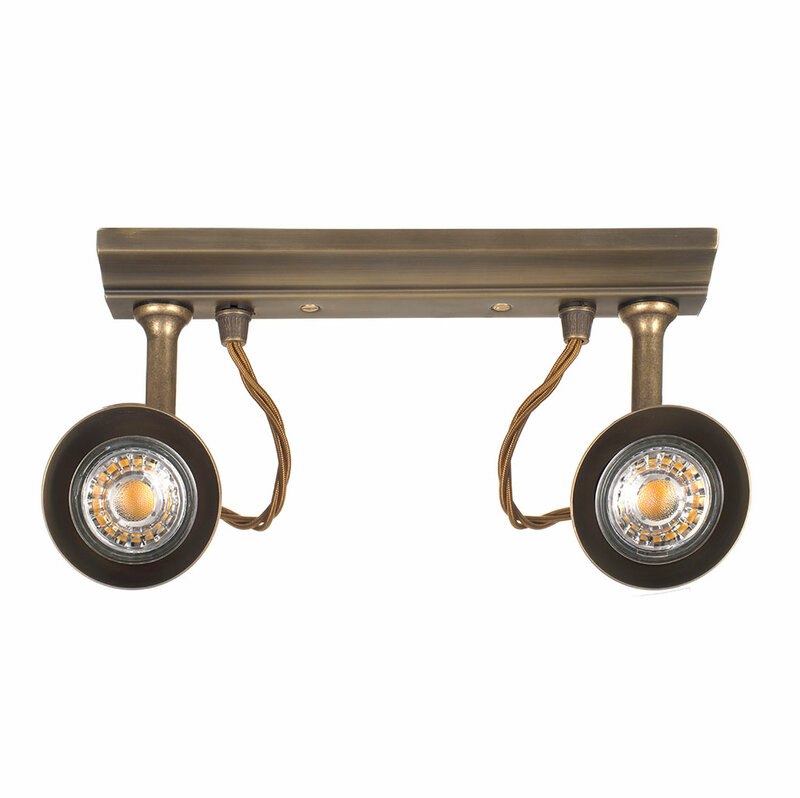 Positioned to highlight the beauty of architectural features like alcoves or exposed beams.